Last month I was talking to one of my students about a book he was reading. The teenager was eager to tell me about the wonderful adventures of a little girl who was able to change the energy in a whole town. Feeling excited, I wanted to hear more about it… sorry, that’s not exactly true… I knew that reading the book was a MUST. 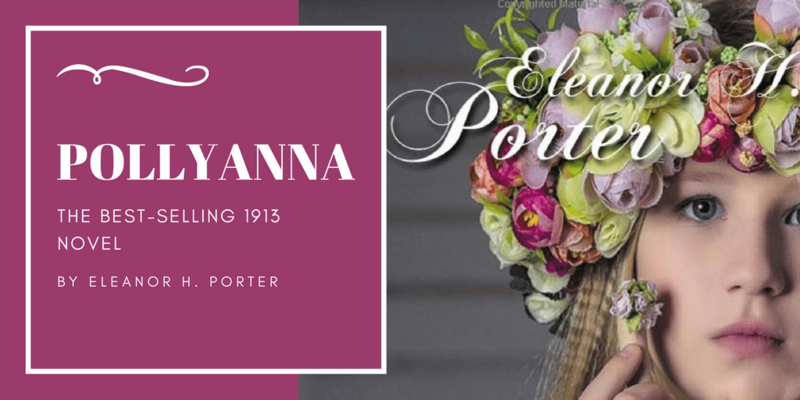 This is how I found out about Pollyanna, the best-selling 1913 novel by Eleanor H. Porter. How could I have missed such a treasure? For those of you who are not familiar with the book, it tells the story about a young orphan, called Pollyanna, who goes to live with her wealthy but stern Aunt Polly. The little girl’s positive outlook helps the local people to find the GOOD in life and become better and more positive. “Lose time—sleeping!” exclaimed the sick woman. “Well, I must say I can’t see any game about that, about that,” declared Nancy, almost irritably. So did Pollyanna convince you to play the GLAD GAME with your students? My pupils love it and admittedly they look forward to telling me what they are glad about. One of Pollyanna’s friends is the orphan Jimmy Bean who is threatened with being thrown out from the local orphanage. Pollyanna desperately tries to find someone to adopt him because she believes that nobody should live on the streets. She bravely addresses her wealthy aunt as well as the Ladies’ Aiders, a local women’s organisation, to find some help. Despite her unfruitful attempts, she was not undeterred to help the underprivileged boy. How the case is resolved, you and your students will find at the end of the book. As mentioned beforehand, Pollyanna helps many people in the town. For instance, she helps grumpy people find joy in their daily lives, a quarrelling couple discover a way to save their marriage and the Reverend fill his sermons with hope and love. The girl with the heart of gold brings joy wherever she goes because she has the time and patience to listen to people, help them and bring hope. 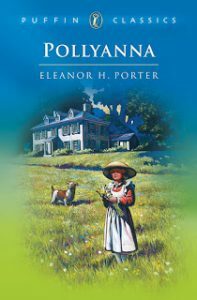 Pollyanna’s compassionate nature turns life around in the small town. At the end of the book, Pollyanna is run over by a car. Unfortunately, her legs are badly damaged and for once, the “GLAD girl” becomes depressed. The sad news quickly spreads around and a throng of thankful local people head to Aunt Polly’s house to see the injured girl. The readers see a remarkable outpouring of love, compassion and gratitude. Everyone whose life has been changed by Pollyanna wants to restore her faith and bring the smiles back. Will Pollyanna be able to walk and play the GLAD game again? I’ll leave this to you to find out. Enjoy reading this precious book of life lessons.